Aha! F5 #001 is complete! They’re finished! In a mad rush, the last two weeks have included: lots of scraping, sanding, scraping, staining, sanding, brushing, spraying, more scraping, etc. After slugging (carefully) away at finish application, all of the setup was quickly accomplished. 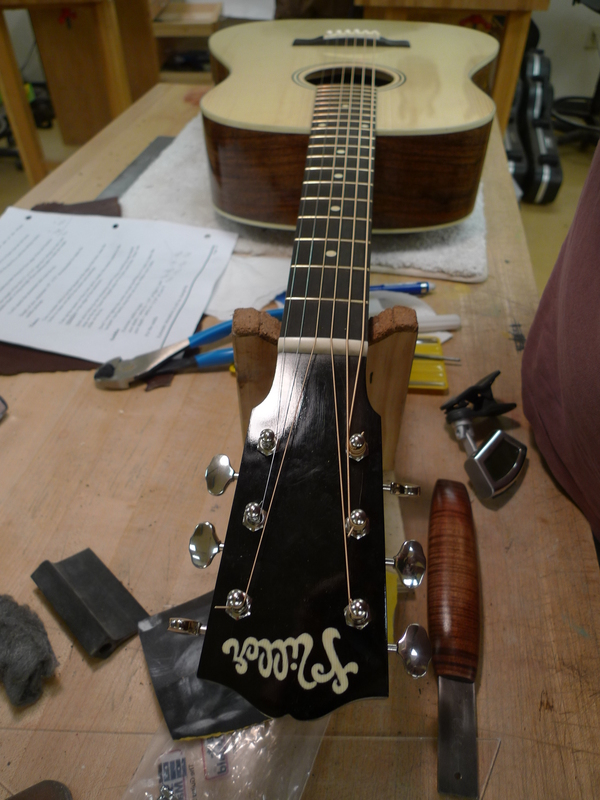 It was a mad dash, making nuts and saddles, getting bridge pins fit and installing tuners. 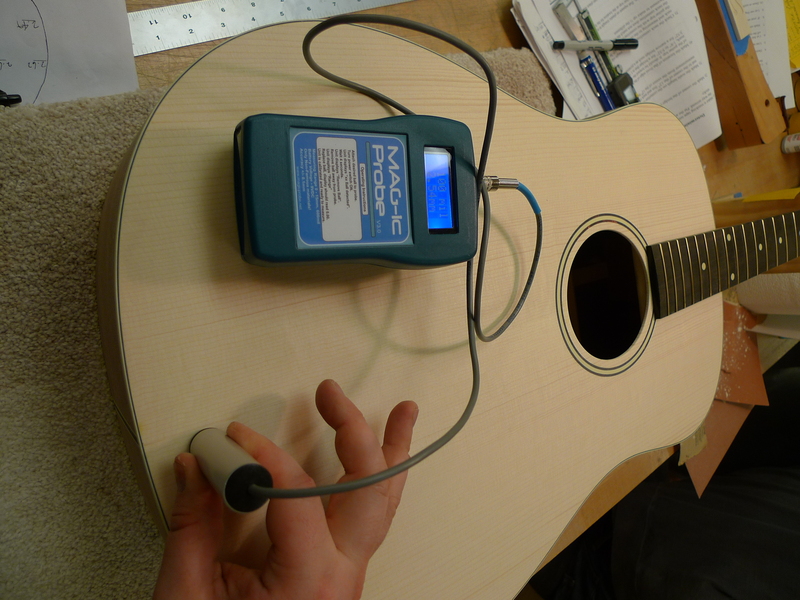 Then, the glorious moment of stringing up the instrument and hearing it speak! Really, a truly, amazingly wonderful experience. I’m still glowing from it. 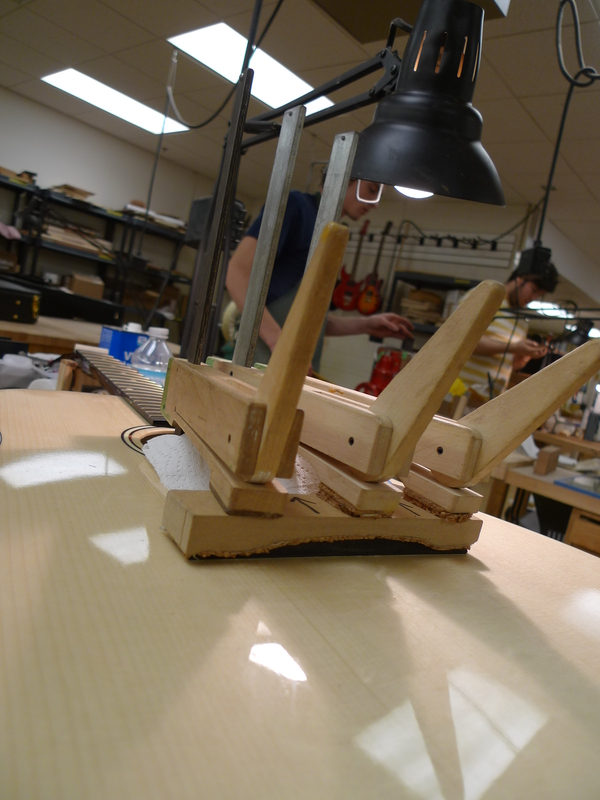 We had some nifty gadgets to measure the finished top thicknesses after voicing, and to measure the film thickness of the lacquer before level sanding. The thickness guage is magnetic, whereas the film thickness guage is sonic. Very cool technology. 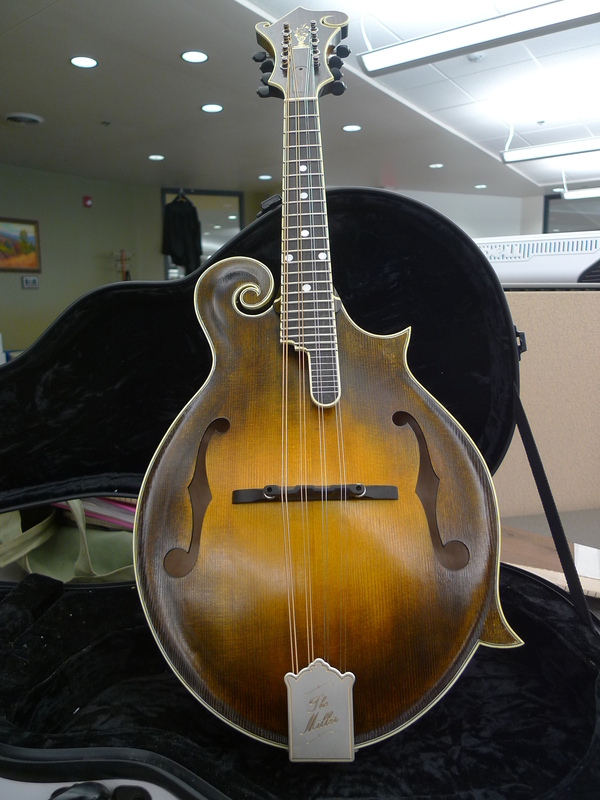 The mandolin was given a hand-applied “tobacco sunburst” a la Lloyd Loar-era mandolins. 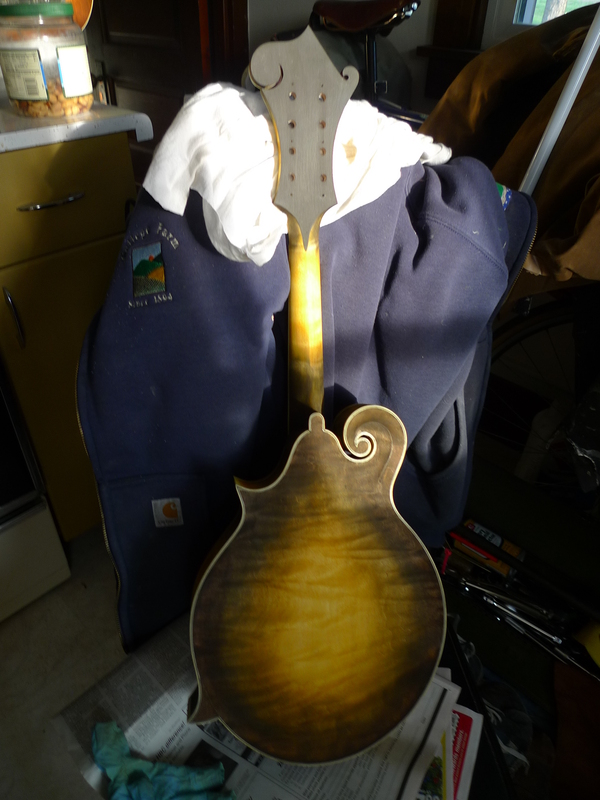 For colorant, I used Honey Amber and Dark Walnut Transtint dyes, using alcohol as the medium. 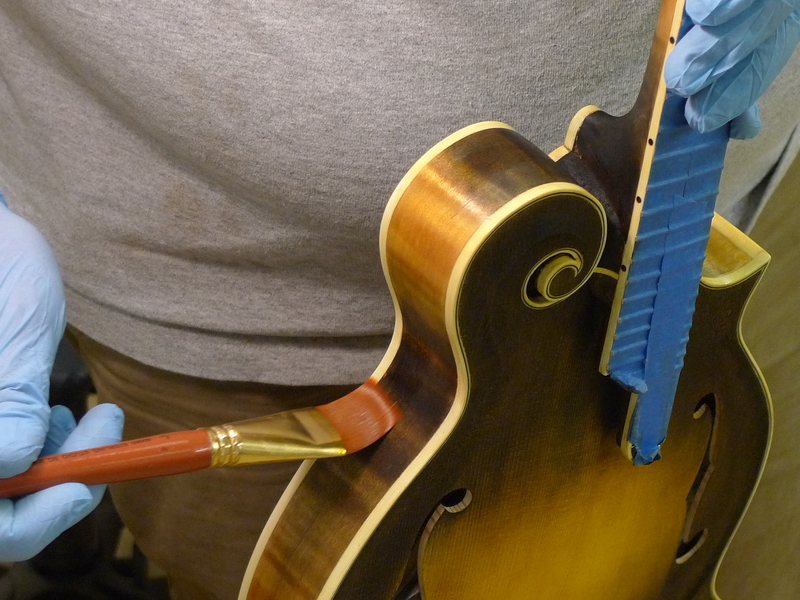 After I was satisfied with the coloring, I brushed on several coats of 1 lb cut orange shellac, scuff-sanded, then proceeded with a handful of brushing sessions to build the body and color. 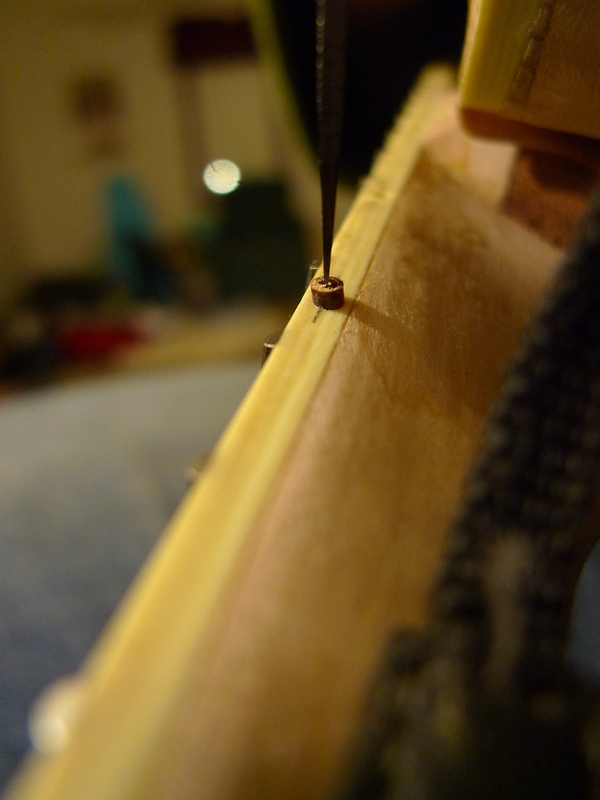 In hindsight, I really should have mixed a 2 lb cut for the bodying, as the 1 lb took a long time to build. When I got closer to final thickness/color, I switched from brushing to a french padding technique until satisfied. I scraped the bindings, and have ordered some Super Blonde shellac flakes for a final topcoat next week. 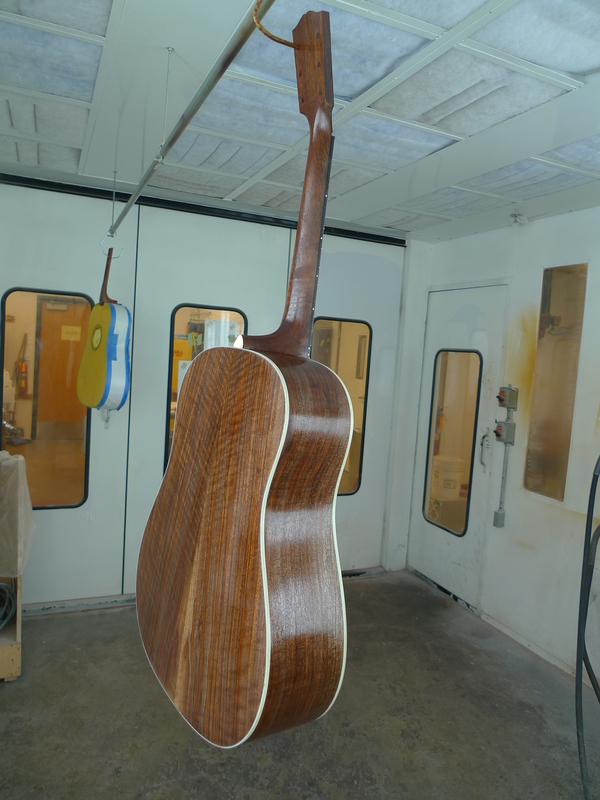 After that, I’ll go for french polishing technique to give it that beautiful luster. 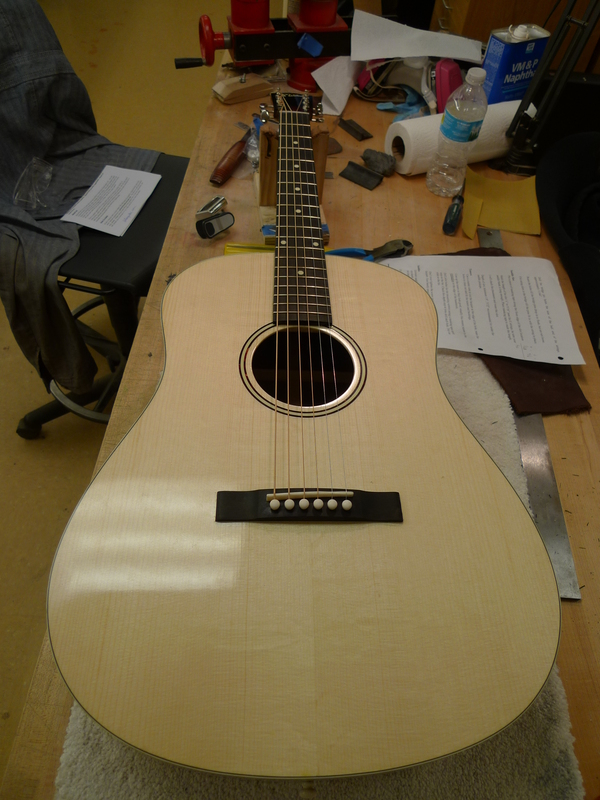 As is, it looks awesome, and should be alright to get a little break-in this weekend, as well as to be displayed at our end-of-year Guitar Show and Graduation today! I’m ecstatic to see all of our finished instruments, side by side. 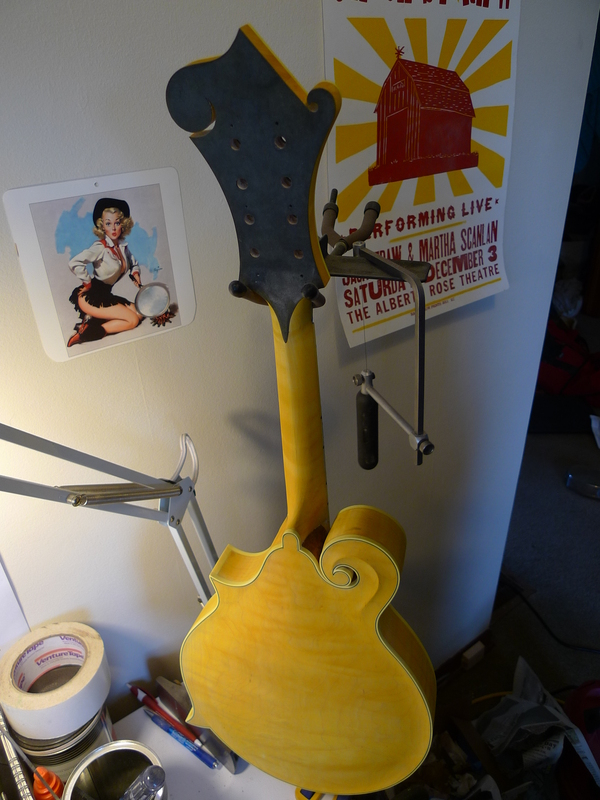 I had some woes when the bone saddle of the guitar shattered after a few hours of string tension; it was very tall due to the not-yet-settled-in state of the guitar. 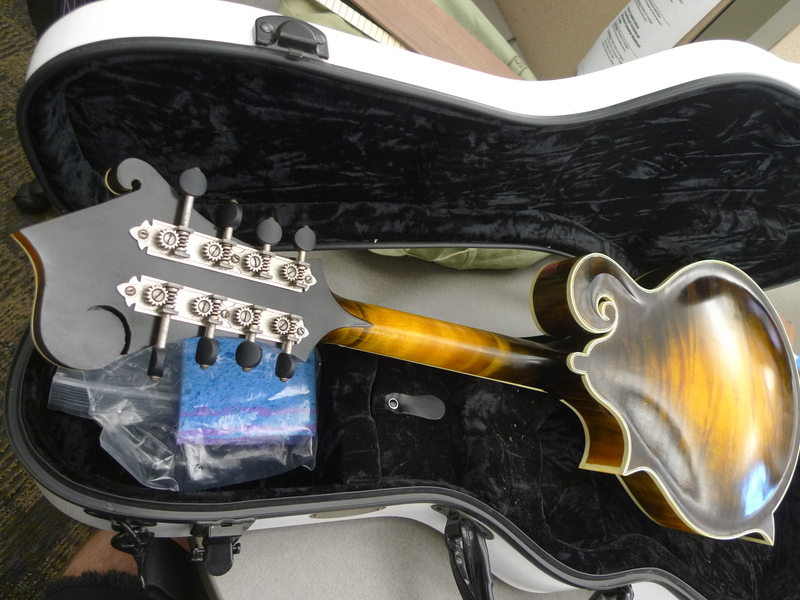 It was worrisome to open the case and find shards of bone scattered across the guitar. I made a new one, which has held up so far.